Fire departments around the country look for useful, safe, cost-effective ways to practice fire training. One good, reusable option – containers. The containers provide a steel structure that can easily be modified to recreate real life situations and the containers can be burned over and over again. 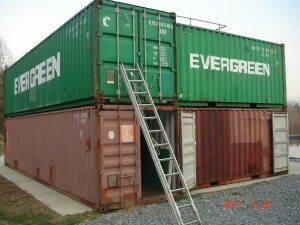 Fire departments can add on more containers over time to expand their training grounds. One department that has been working on creating a safe way to practice is the Sylva Fire Department in Sylva, NC. 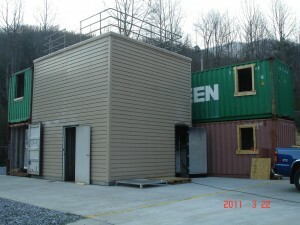 Sylva FD purchased two 20’s and two 40’ containers last summer and have created a training ground. They have plans to expand these training grounds as funds and time permits, but in the meantime, they are off to a great start. They shared these pictures with me so I could share them with other fire departments thinking of doing the same thing.